Nowadays, a perfect website is essential to a truly successful business. On average, we conduct 12 billion searches per month on the web in the United States. That’s 12 billion opportunities for people to find your business’s website and start using your services. However, that’s not likely to happen without a gorgeous, well-designed website. Use these tips during your next website redesign project to give your company the digital edge it needs. Remember your branding: When people visit your website, you want them to understand your company’s identity right away. The appearance and layout of your website will communicate a lot about the type of business you have and how you want to be seen. When you’re picking a new website design, keep your company’s image in mind and focus on how the average internet user will respond to your site. Clean up your content: A high-quality website relies on high-quality content. While you might not be creating all new content in your website redesign project, it’s a good opportunity to clean up the content that you already have. Consider deleting or revising old content that no longer fits with the image you’re hoping to present with your website. Key in to keywords: When you’re creating new pages for your website redesign, don’t forget to pay attention to your keywords and search engine optimization. It can be easy to overlook if you’ve already optimized your old pages, but your new pages need to be properly set up for the best possible chance at ranking high on search results. Get outside help: A website redesign project can be a huge undertaking, especially for a small business with other things to do. Additionally, if you haven’t built a website before, learning how to manage your online presence can take time and resources you don’t have right now. 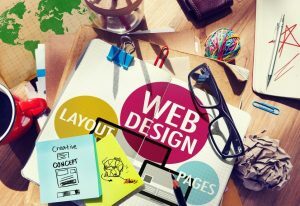 If you can, look to hire a professional web designer to help you redesign your website the right way. Need help redesigning your website and optimizing it for success? Contact MRN Web Designs today for more information on creating a successful and beautiful website for your business.